It's winter time and most gardens (except here in sunny Florida and other blessed places) are lying fallow. Why not make some top soil right in place over the winter? Do it now and the rich compost will be ready for planting come spring time. Here's an easy way. There are several names to describe this type of composting: lasagna gardening, sheet composting, direct composting. The idea is to mimic what mother nature does in the forests all the time. Different layers of organic matter and animal manures, filled with beneficial microbes and earthworms, build up and compost over time. The rich "leaf mold" and forest soils your ancestors gathered for their vegetable and flower gardens can be created right in your garden patch, saving you time and labor. Remove all weeds from your plot. Chop up any leaves and yard waste with your mower. Cover your bed with a layer of this material. (Don't forget the chopped veggie scrapes and coffee grounds.) Moisten (see Tips below for adding microbes to your water). Spread a layer of fresh or composted horse manure. (If your not lucky enough to have access to horses, you can purchase composted manures from garden centers.) Moisten. Add a second layer of chopped organic mulching material like straw, leaves, etc. Keep moistened and leave over the winter. During the winter, microbes and earthworms stay busy converting this mixture into rich compost. You have "created soil" so to speak, just like the automatic process occurring on the forest floor. Add VermaPlex® to the water when moistening to add microbes to the mix. It speeds up the process and insures composting takes place. Add earthworms to the ground before adding layers. They break down the compost, accomplish the soil aeration chore for you, and deposit rich castings that feed your plants. Add microbes to your soil. 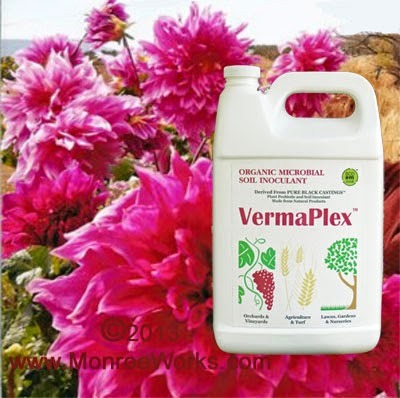 VermaPlex®: Certified Organic, All Natural Soil Inoculant. Add earthworms to your soil. 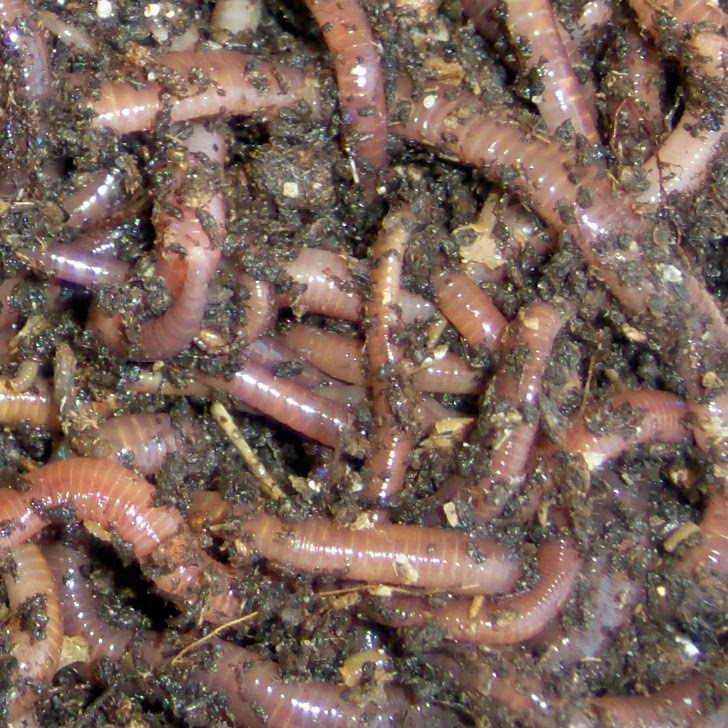 Red Worms and European Nightcrawlers for your garden.